AUSTIN, Texas--(BUSINESS WIRE)--It is rare to hear news of military veterans and marijuana in the same breath, much less in the same business. But every new industry needs someone brave enough to pave the way, an act honorable veterans know well. Charlie Uchill and Greg Anderson met as classmates at West Point and both enjoyed successful careers in the United States Army. They formed CoolMellon as a real estate investment company specializing in mezzanine debt lending. Their success with CoolMellon led them to ask the obvious question, “What’s next?" 1) Despite the adoption of certain state laws that permit the use, possession, cultivation and distribution of cannabis, the possession and use of cannabis for any purposes remains illegal under federal law. These conflicting rules have resulted in traditional banks all but abandoning businesses operating in the legalized cannabis industry; including making loans to such businesses. 2) The second problem comes from the fact that there is currently no uniform tracking and accounting system for the legal cannabis industry; generally as the result of all transactions having to be made in cash. To solve these problems, CoolMellon (through its subsidiary CERES Coin LLC) is in the process of creating an integrated payment and investment ecosystem. CERES Coin LLC (“CERES”) intends to specifically address the two major issues above by first developing a two-stage blockchain transaction and investment network for the legal cannabis industry. Through the creation of CERES crypto “coins” and the related payment processing network, CERES aims to provide a cohesive and truly stable crypto-based transaction system which will both alleviate the need for strictly cash-based transactions, as well as track and report industry transactions from seed-to-sale (something many state regulators are currently clamoring for). All while maintaining the anonymity of the cannabis purchasers. CERES also intends to make certain mortgage-backed loans to businesses operating in the legalized cannabis industry which are not directly cultivating or distributing cannabis. 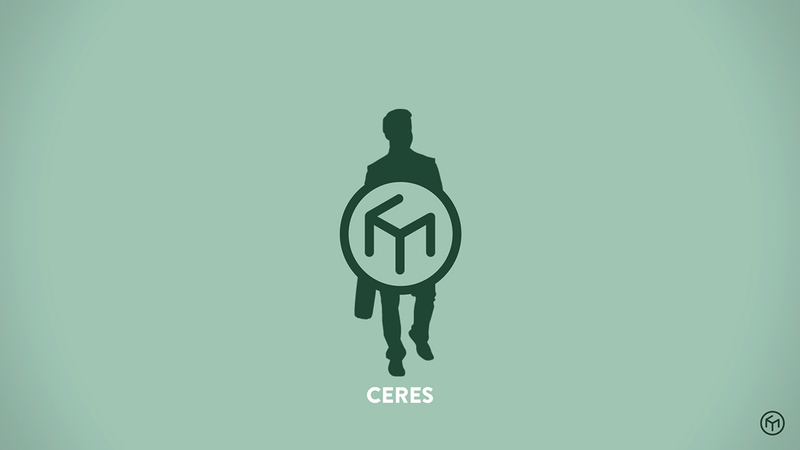 In addition to the above, through the creation of CERES “tokens,” investors will have a vehicle to participate in the cannabis industry and the revenues generated by CERES. CERES intends to register both the coin and token as securities with the SEC, and has been sharing the development of its eco-system with the SEC to achieve such registration. While this SEC registration has yet to be obtained, CERES anticipates that it will be one of the first companies in the industry to do an SEC-regulated Initial Coin Offering (ICO) of its crypto assets. To facilitate this early investment, CERES' counsel, Freeborn & Peters LLP, has created a new specialized type of investment agreement dubbed a "Private Investment Agreement" or "PIA." The PIAs are being offered for sale ONLY to "accredited investors" (as defined in 17 CFR 230.501) pursuant to an exemption from registration with the SEC and (applicable state laws) under Rule 506(c) (17 CFR 230.506(c)). Interested investors are encouraged to register at http://cerescoin.io/ceres-launch. Uchill and Anderson live to defy the expected and to charge through barriers, both ambitions they acquired during their time at West Point. They rise above the negative perceptions of the cryptocurrency industry by the very honorable nature of and intent with which they do business, and through their work with federal regulators. Because any new industry worth conquering demands respect, honor, integrity and courage of its leaders. CoolMellon is a veteran-owned financial technology company whose mission is provide solutions to real world problems and align those solutions with the needs and requirements of customers and investors. Via its CERES payment and investment ecosystem, it intends to solve the lack of a banking system in the legal cannabis industry utilizing a proprietary blockchain solution. CERES is a dual crypto-asset ecosystem where both assets will be registered SEC securities. CERES Coin (transactional) will be a stable, collateralized crypto-coin providing frictionless transactions in the legal cannabis industry. CERES Token (investment) will be an alternative investment asset allowing CERES investors to participate in revenues generated by the velocity of CERES Coins (transaction fees) as well as revenues generated by CERES’ cannabis lending business. Visit http://cerescoin.io/ceres-launch for more information.